Dwayne Perreault − It's one of those useless questions, sort of like asking "What is it like to play golf on the moon?" 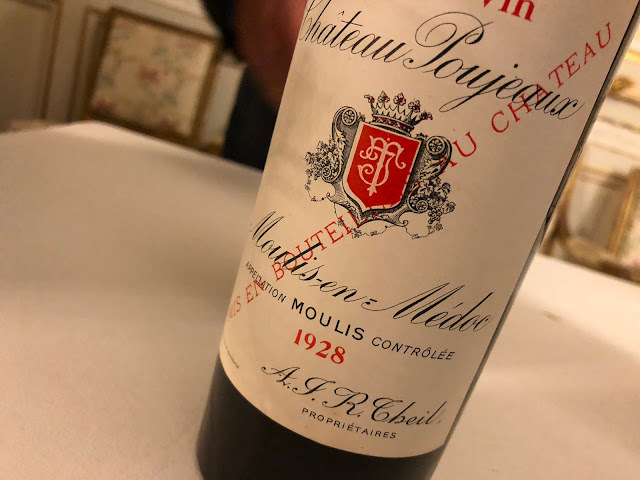 but sometimes when I'm drinking a great wine, like a Hermitage or a Bordeaux grand cru classé, I can't help but wonder, "What did this wine taste like hundreds of years ago?" Well, guess what? During the Apollo 14 mission to the moon in 1971, Alan Shephard strapped the head of a six iron to a sampling instrument and purportedly drove a golf ball several kilometers in the direction of a crater, the largest sand trap ever. So that's what it's like to play golf on the moon. As for how wine tasted in the 1700's, that's a little more difficult to determine. Obviously we can't taste the wines today, so we have no point of reference to compare them to contemporary wines. If wine is to be considered an art, it is like an ice sculpture which melts in the sun: temporary, fleeting, to be enjoyed before it disappears. There are exceptions. I think of the 1811 Chateau d'Yquem Robert Parker tasted in 1996. He awarded it 100 points, his absolute bench mark. But most wines never live that long, and it is the privileged few indeed who get to taste such specimens. But there are historical records of great wines which give us an idea of how they tasted. Thomas Jefferson, the third President of the United States, was a fine wine lover and while French ambassador from 1784-9 he travelled extensively throughout France, Germany and Italy noting his impressions of the wines he tasted. According to James Gabler's book Passions: the wines and travels of Thomas Jefferson, "Jefferson considered white Hermitage and Champagne the two best white wines of France. He held white Hermitage in such high esteem that he called it 'the first wine in the world without a single exception.' During his presidency he purchased 550 bottles of white Hermitage from the House of Jourdan. The Jourdan vineyards were eventually inherited by the Monier family who, because of their ancestry, revived the name Chastaing de la Sizeranne. The Jourdan vineyards presently belong to the house of M. Chapoutier who calls his red Hermitage, La Sizeranne and his white Hermitage, Chante-Alouette (Lark's Song). 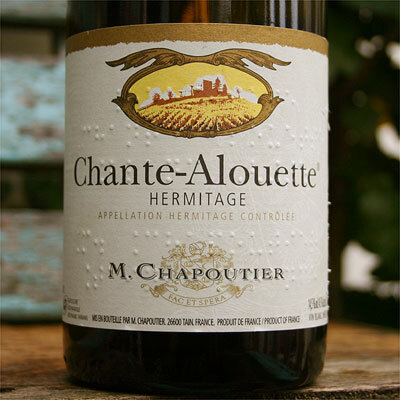 To drink a white Hermitage from the same vineyard, and made from the same grapes that Jefferson shared with dinner guests at the President's House, one need only buy M. Chapoutier's Chante-Alouette." So I did (see the picture of the bottle above). For tasting notes, please refer to my posting, Visit to M. Chapoutier. Meanwhile, at the same time Jefferson was whetting his wine appetite in France, Wolfgang Amadeus Mozart was in Vienna composing the operas The Marriage of Figaro (1786) and Don Giovanni (1787). Unlike Jefferson, Mozart was not a collector of wines, but he was an avid drinker. It would appear that his favourite wine was the Marzemino from Trentino, for in his opera, Don Giovanni, just before being delivered into hell, sings "Versa il vino! Eccellente Marzemino!" It may be that Marzemino was widely available in nearby Vienna at the time, or it may have to do with the fact that Roverto, the second town in Trentino, hosted Mozart several times; in fact, the thirteen year-old Mozart gave his first public performance there. But today, Marzemino is a relatively obscure varietal wine with just a handful of producers in Trentino. What does good Marzemino taste like? 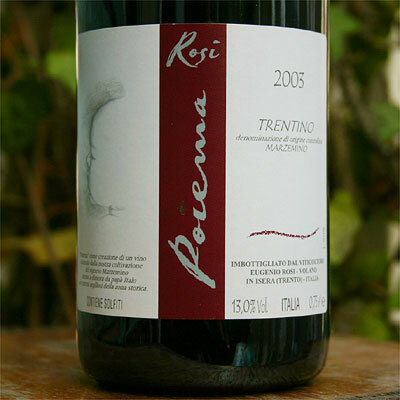 Well, I happen to sell one: the Eugenio Rosi 'Poeima' 2003. This is an outstanding example of this variety, worthy indeed of some bottle ageing despite possessing medium tannins; this is perhaps due to the good acidity in the wine. Silky in texture, the focus here is on wild berries, plums and dark fruit, a balanced wine that accompanies both white and red meat dishes, or simply drinks itself away. If it tasted like this in the 1780's, I can understand why Mozart enjoyed it.